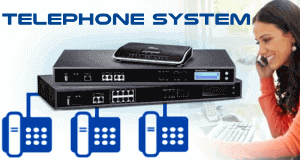 Easy to Use Enterprise Fax Server Appliance with 25/50 Users and up 2 Fax Lines. Inbuilt Fax Storage and Fax To Email Function.IVR Help the sender to send a fax to a certain User. Bizfax fax help to maintain a paperless office. At the same time, it increases the productivity allowing all the users to send and receive the fax from their computer. ▪ Install BizFAX Client on a computer and then you own a Virtual Fax Machine. ▪ Can communicate by phone before fax. ▪ Auto convert documents as doc xls and pdf to fax format tiff by BizFAX Printer. ▪ Auto creates a single fax document with multiple pages from multiple documents. ▪ Send a fax to multiple numbers at the same time. ▪ Customizable fax page header. ▪ The user is able to make annotation signature and stamp through BizFAX Editor. ▪ If the other party manually receives a fax user can make a call to talk with the other party at first by virtual fax extension and then send fax after the call. ▪ Can save up to 15000 pages and expandable by Net Disk. ▪ Virtual fax extensions can make calls, send emails and instant messages to each other.